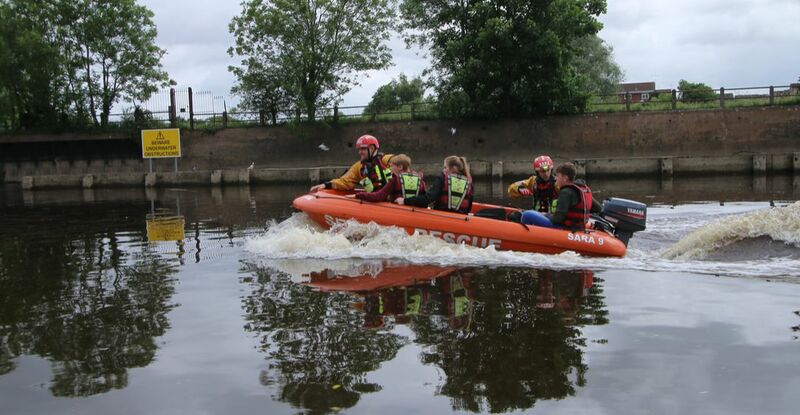 Our Lifeboats are tasked by HM Coastguard to incidents in and around the Severn Estuary, or by Police, Ambulance, Fire and Rescue Services to the rivers Severn, Avon, Wye, Monnow, Ebbw, Bristol Avon and Usk. SARA also operate inland rescue boats. Produced by Fusion, this craft is made from heavy-duty polyethylene piping welded together to form the sponson's. SARA 8 is an incredibly effective lifeboat particularly excelling in flood response due to the incredibly strong plastic construction. It is kitted out to DEFRA specification with a 40HP engine to provide control and power in fast flowing water. This boat can safely transport up to 8 - 10 people if the situation requires. SARA 9 entered service in 2009, it is a Pioneer double-walled Polyethylene craft fitted with a 25HP Yamaha engine. 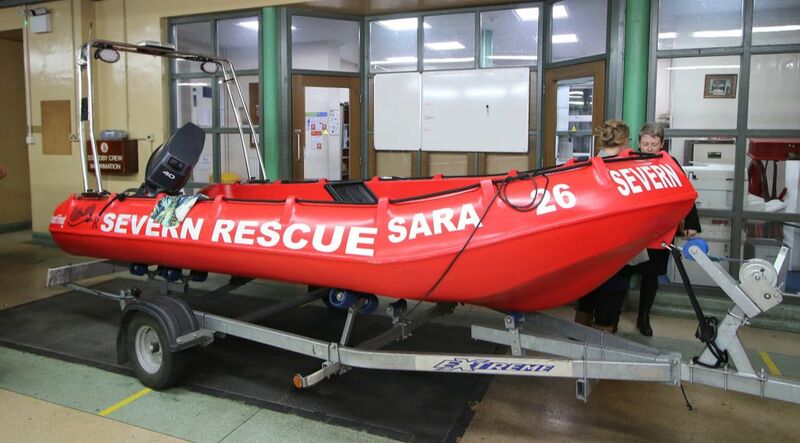 The design gives SARA 9 capable handling in strong currents and a significant amount of buoyancy making it effective for rescue boat operations and casualty extraction. SARA 10 was produced by Eurocraft and is an inflatable boat fitted with a 25HP Yamaha engine. It was purchased as a replacement to it's predecessor which was unfortunately damaged providing safety cover to a rowing event. This boat can be deflated, transported and quickly re-inflated using compressed air for a rapid response. The newest boat in our fleet, named 'Stuart Frost' after a lost colleague and friend who tragically lost his life in a traffic accident in 2016. The Whaly 435R is an incredibly robust, double-walled boat manufactured from high-grade plastic (Polyethylene). This R version is even stronger and has a foam layer on the interior, making it the preferred choice for professional rescue operations. It is fitted with a 40HP Yamaha engine to DEFRA specification; very handy when speed is of the essence. SARA 26 was purchased with the aid of a grant from DEFRA.